After the wave of popularity enjoyed by sweetened, sugary cocktails like Mojitos, it seems that the trend in alcoholic drinks and cocktails is heading towards the bitter side. 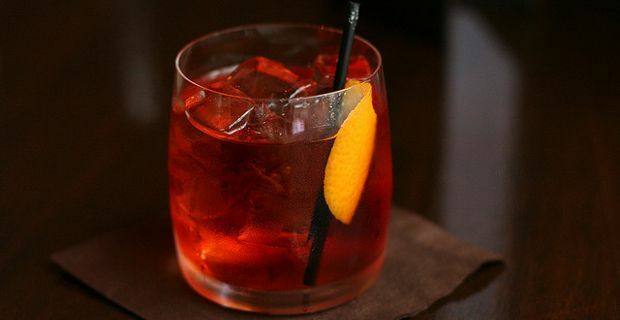 Bitter drinks like vermouths and Italian amari are indeed enjoying a sort of renaissance, while bitter mixers like Aperol, Cynar and Campari are literally exploding in popularity on both sides of the Atlantic. Figures show, in fact, that sales of Aperol alone rose an extraordinary 156% in the UK last year, and 56% in the USA. Quite low in alcohol content, the bitter mixer Aperol is based on rhubarb, bitter orange, gentian and cinchona. It is currently being enjoyed mostly as Aperol spritz, in combination with prosecco sparkling wine and soda water. Italian amari, also known as digestivi, of the likes of Averna, Montenegro, Fernet Branca, have peculiar, strong herbal flavours that sometimes are difficult to adjust too. Thing is, though, that once you do adjust to their bitter sweetness, you are hooked. These complex drinks, each with its own traditional combination of roots, spices, barks and herbs are enjoyed as aperitivi, to enhance the appetite before meals, and after meals as digestivi, for their digestive properties. It seems that, in recent years, many British holiday makers started coming back form Italy having enjoyed the many benefits of amari, and bringing home some of that traditional bitter sweet taste. But the world most famous bitters is Angostura, a produce of Trinidad and Tobago that descends straight from the 19th century 'bittered sling' ingredients in the first recorded cocktails recipes. Angostura, like all the bitters, is an alcoholic preparation flavored withherbs and spices. It is the foundation of many famous cocktails, from the Manhattan to the Mad Men's Don Draper. The infamous supply shortage of 2009 caused a real scare amongst bartenders worldwide. As a result, many begun to research traditional sources for recipes, and started to make their own bitters themselves.